If you don’t have maple flavoured BBQ sauce, it’s quite alright; any other BBQ sauce will do the trick. 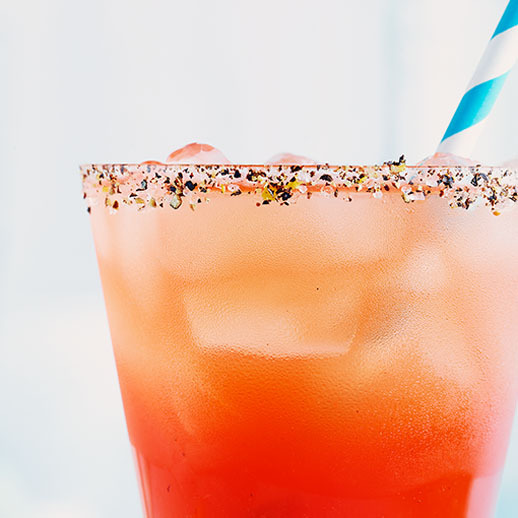 To make the sauce easier to mix into the Caesar, thin it by diluting it with juice— orange, apple, or mango, say—or try whiskey! 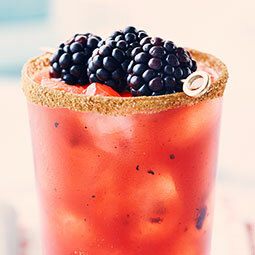 Bacon bits, whether store-bought or homemade, make a great addition to this Caesar’s rimmer. Just run the bits through a coffee grinder or food processor and add to the steak spice rim. 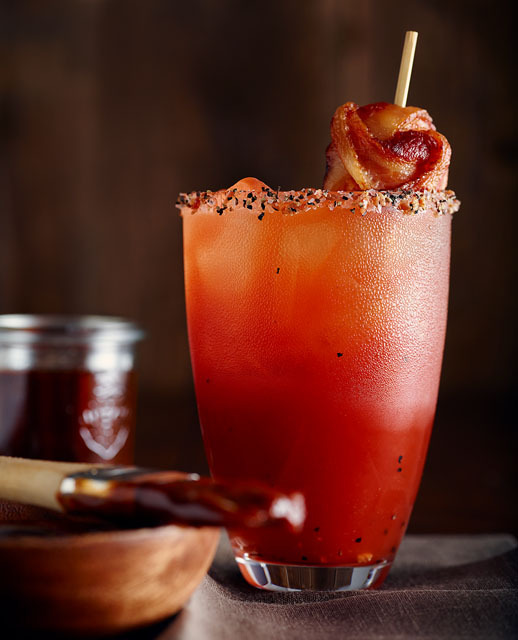 And knots of maple bacon—strips of raw bacon tied in knots and then cooked in a frying pan or in the oven on parchment paper and slathered with maple BBQ sauce—make just about the best garnish for this Caesar possible. 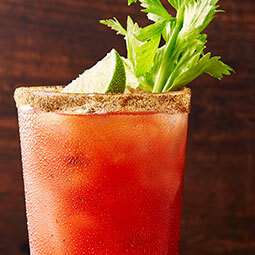 Canadian whiskey and maple BBQ sauce—if you’re looking for a great cooler-weather Caesar, here you go!